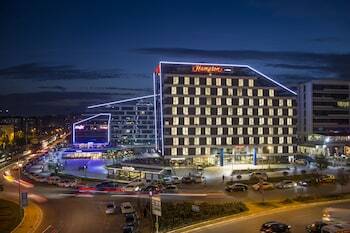 With a stay at Hampton by Hilton Istanbul Kurtkoy in Istanbul (Pendik), you'll be within a 15-minute drive of Viaport Outlet Shopping and Neomarin Shopping Mall. Featured amenities include a 24-hour business center, express check-in, and express check-out. Free self parking is available onsite.